January 27, 2019 By Denny Hansen & filed under All Articles, Rifles & Carbines, Weapons. In modern parlance, when someone says “AR-10,” they are likely talking about a larger receiver than the smaller, more commonly encountered AR-15. Younger shooters may not even know much about the original AR-10. 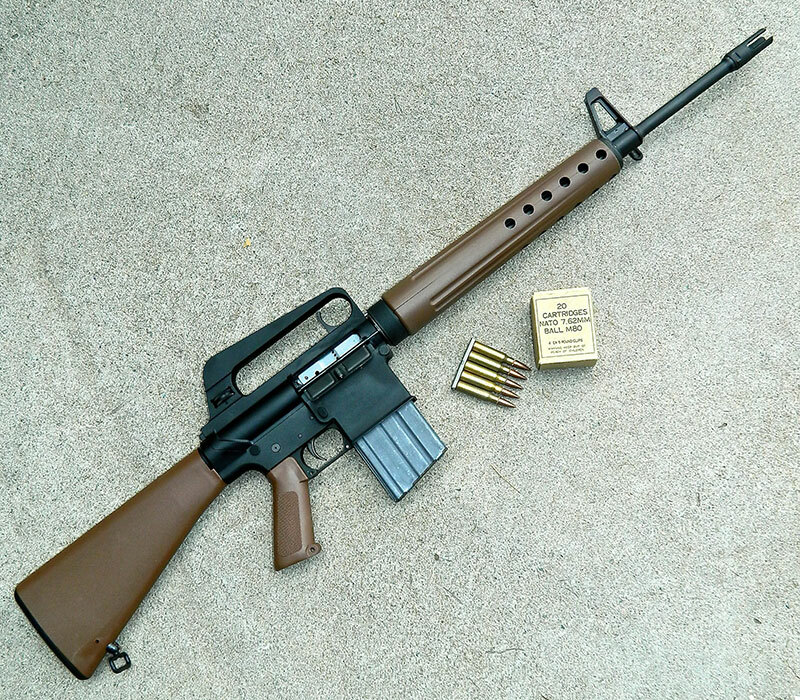 The AR-10 was created by Eugene Stoner in the late 1950s at the firm of ArmaLite—then a division of Fairchild Aircraft Corporation. It was unique in that it used an advanced straight-line barrel/stock design, phenolic resin furniture, and forged alloy parts. The results were a rifle that was easier to control on full-auto and lighter than any other infantry rifle of that era. When the Army began looking for a rifle to replace the M1 (Garand), ArmaLite entered the AR-10 in the contest, going up against the T44 (M14) and T48 (FN-FAL). Of course the M14 eventually came out on top of the competition. Stocks on original ARs had no trap door. The ArmaLite AR-10 went on to become the forerunner for a wide range of firearms. The most famous of these—after modifications and scaling down to handle the .223 Remington cartridge—became the AR-15 and was adopted by the Armed Forces as the M16. Over its production life, the original AR-10 was built in relatively small numbers, with fewer than 9,900 rifles assembled. This has made an original rifle sought after by collectors, but now you can have a very close replica. Stock is original, shorter A1 design. At the 2018 SHOT Show in Las Vegas, Brownells introduced two close copies of the AR-10 named the BRN-10. The new rifles contain no surplus parts and are built with all-new components manufactured with modern methods. Both rifles are machined from 7075 billet aluminum and have a custom bolt catch, takedown pins, selector, and mag release to match the original rifles. They have 20-inch barrels in .308 with 5/8″X24 threads with a 1:10 twist, and nitride finish and chrome Retro bolt carrier groups. Both rifles are slick sided without a shell deflector or forward assist, and with the characteristic trigger-style charging handle inside the carry handle. 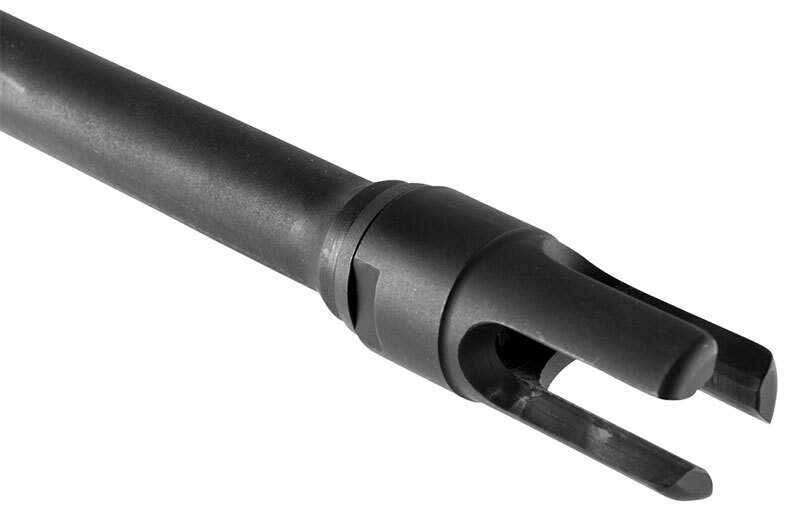 BRN-10A has open, three-prong flash hider. The first of the rifles, the BRN-10A, is a close copy of early rifles such as issued by the Netherlands. It has brown furniture, including an original-style handguard, and an open, three-prong flash hider. The second rifle, the BRN-10B, is a close copy of late-model rifles as adopted by Cuba and other nations. It has black furniture with the original-style handguard and a Portuguese-style closed-prong flash hider. The rifle tested here is the BRN-10A with brown furniture. A1 pistol grip does not have A2’s annoying bump in center of the grip. The stock and pistol grip are of the A1 design, meaning the stock is shorter than the A2 and the grip does not have the annoying bump that seems to fit no one except perhaps the person who designed it. 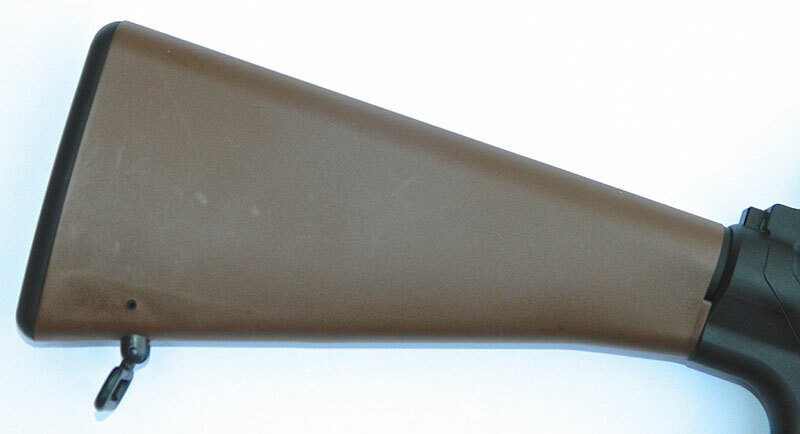 The interior of the handguard is non-shielded. 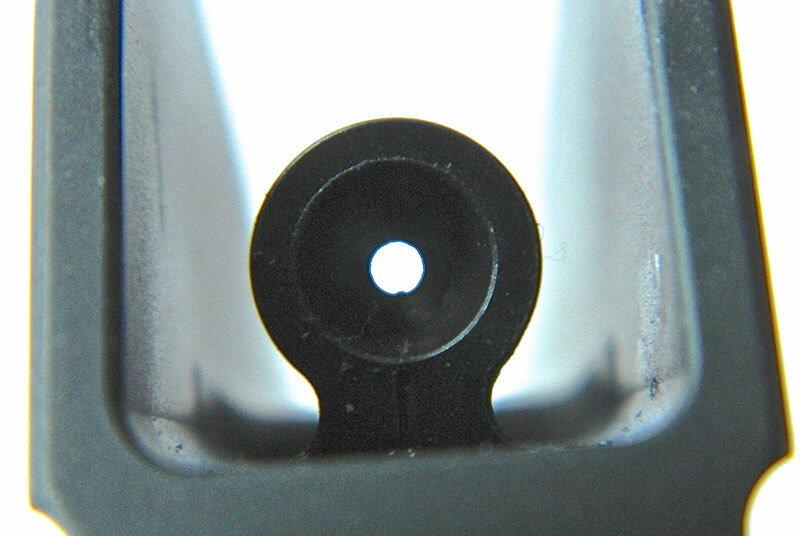 Sights consist of a relatively small, non-adjustable front blade sight and a small aperture that is adjustable for windage and elevation. Elevation adjustment is accomplished by turning a wheel. Adjusting the windage is more difficult, requiring a 5/63 Allen wrench placed in a hole on the back of the carry handle below the aperture to allow the sight assembly to move freely. Comprised of a one-piece double paddle, the bolt hold open/release is different than that seen on contemporary rifles and carbines. Rifle is slick sided with no shell deflector, forward assist, and no fence around magazine release. The right side of the heads on the takedown pins are large and serrated, as opposed to the smooth, dome-shaped ones found on current rifles. The front sling is attached to the left side of the front sight tower versus mounting it under the front sight assembly. 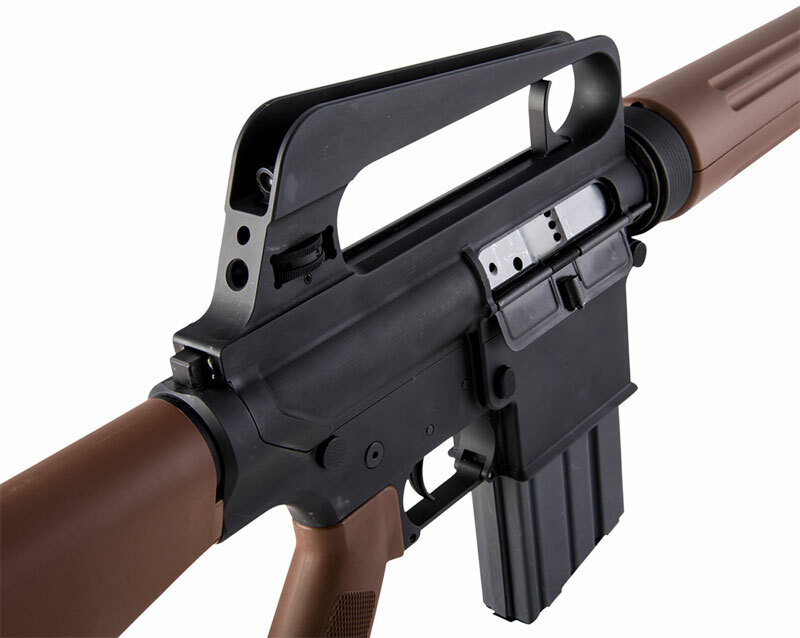 As seen on the original AR-15/M16, there is no “fence” around the magazine release. The release is serrated. Weight is eight pounds, nine ounces empty. I took 100 rounds of NATO 7.62mm M80 Ball (147-grain FMJ) to gauge the accuracy of the AR-10 with the ammunition that the original rifle would have been fed. 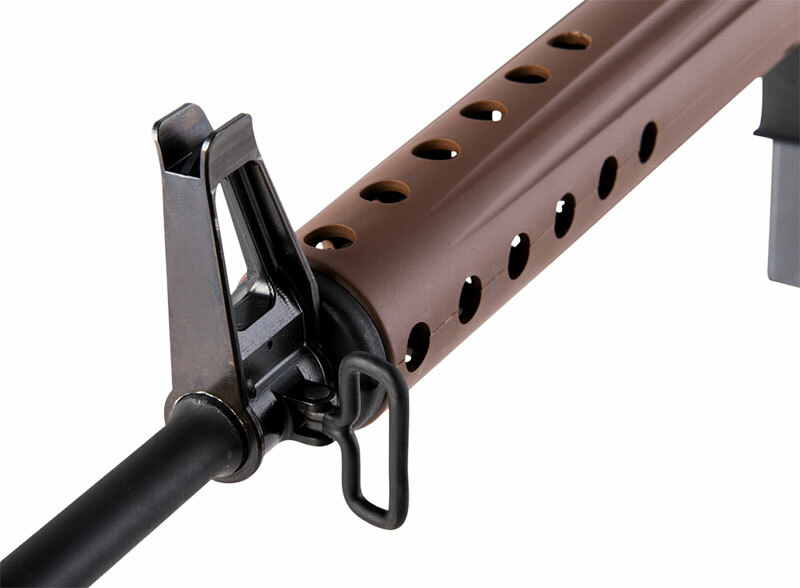 Front sling swivel is mounted under front-sight assembly instead of under it, as found on contemporary rifles. The head stamps indicated this ammo was made by Winchester in 1964. Although this ammo is 54 years old, it chronographed at 2,684 feet-per-second (fps), while the original specs called for 2,733 fps—a difference of only 49 fps. It has been stored in airtight ammo cans, showing that if properly stored, ammunition has an almost indefinite shelf life. For comparison purposes, I also used new manufacture Australian Outback 168-grain BTHP (boat-tail hollow point) Match and Black Hills Ammunition 175-grain BTHP Match. Since someone is bound to ask, no, the BRN-10 does not accept PMAGs. It only accepts standard metal DPMS/SR-25 magazines. If you want to use PMAGs and mount lights, lasers, red dot sights, etc, plenty of rifles are available to do just that. 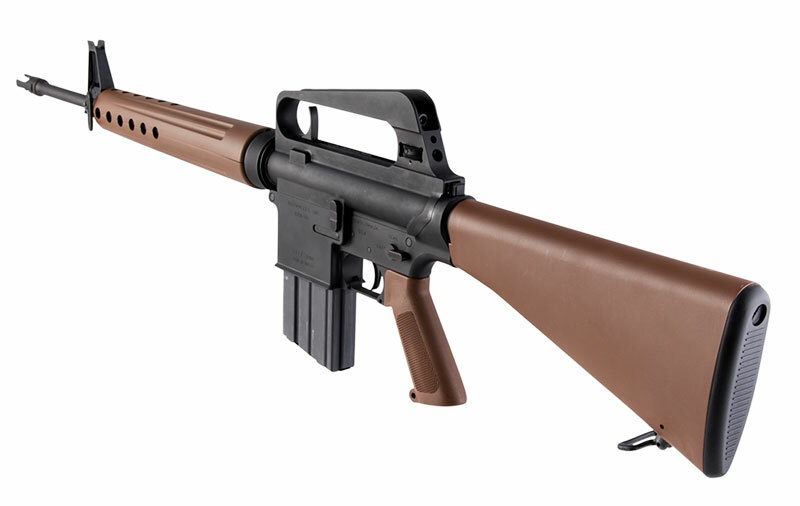 The original AR-10 has historical significance, and to my way of thinking is the chief reason for these retro rifles. There is no provision for mounting optical sights. Rear sight has very small aperture. It’s hard to pick up at speed, but delivers excellent accuracy. 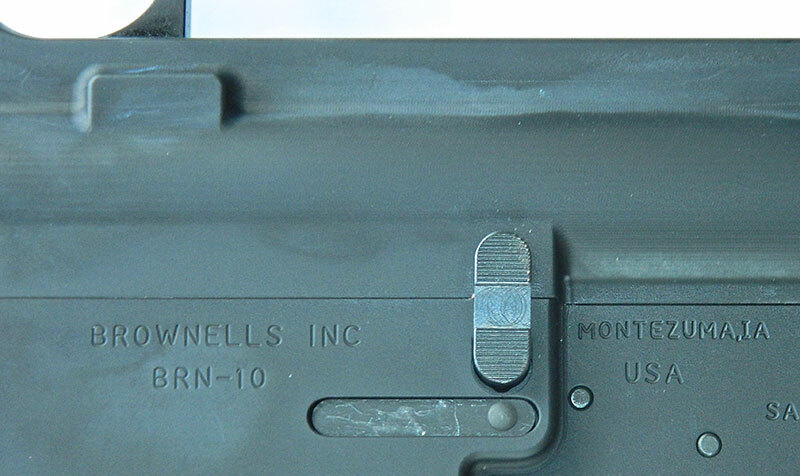 As mentioned earlier, the rear sight has a small aperture—very small—and is hard to pick up at speed. The AR-10 was manufactured at a time when accuracy was stressed over speed, and smaller sights are capable of outstanding accuracy given enough time to utilize them. Think “aim small, hit small.” CQB as we know it today was not a consideration. I fired the rifle from a bench at 100 yards. While felt recoil is subjective, I believed it was slightly less than my SIG 716 patrol, although the 716 (with optic) weighs about two pounds less than the BRN-10. 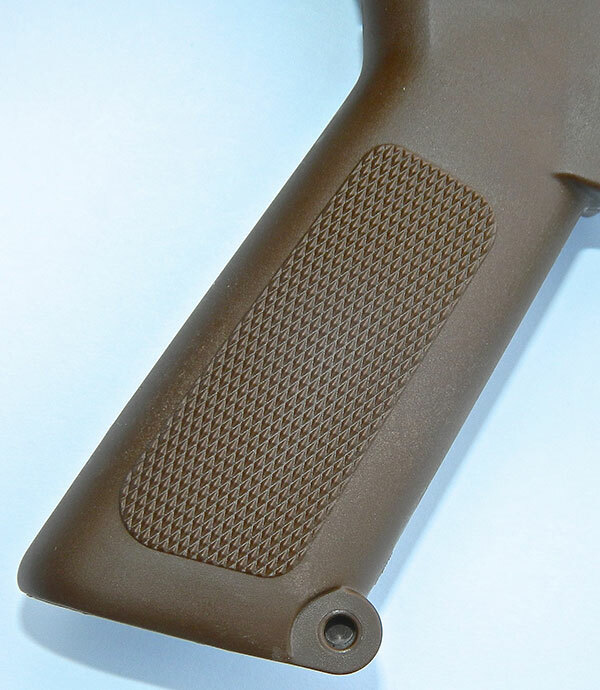 Comprised of a one-piece double paddle, bolt hold open/release is different than that seen on current rifles and carbines. As shipped from the factory, the sights were already dead-on and required no adjustment. More time shooting and less time zeroing are good things. The M80 averaged 5½-inch groups, with the smallest coming in at 3¼ inches. The Black Hills Match load averaged 2.5 inches, with one group just under two flat. The Australian Outback Match shot grouped just over three inches. Considering my aging eyes with only iron sights, I was quite satisfied with the results. All in all, I fired just under 200 rounds through the BRN-10 and experienced zero malfunctions. The bolt hold-open worked reliably and magazines fell free. 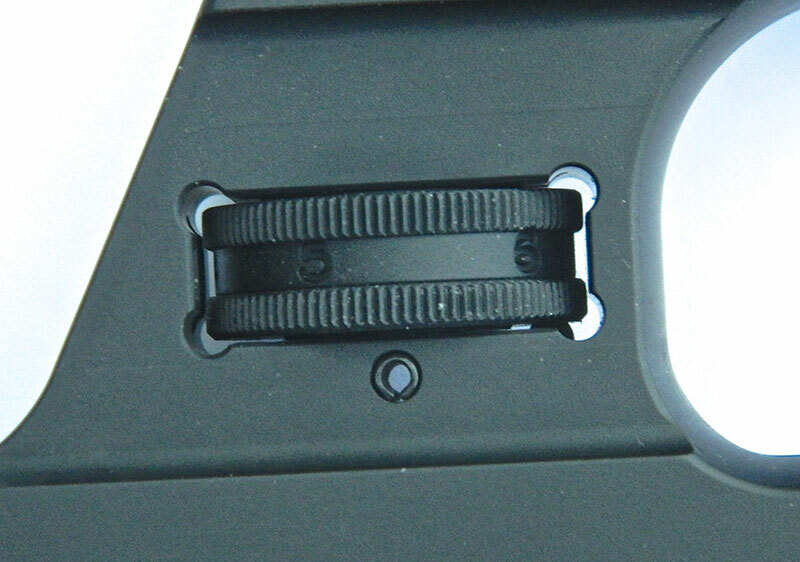 Elevation adjustments are made on rear sight via a wheel. When military surplus rifles such as the German K98 Mauser as well as the Model 1903 and 1903-A3 rifles were readily available, it became popular to “sporterize” them. As a result, if you can find one of these fine rifles in original, pristine condition, it now demands premium prices. If you want to own a rifle with a rich history but without breaking the bank, either of the Brownells BRN-10s will fill the bill nicely.